When I caught up with Amy Wheeler for a profile in my women writers series, she was working on building a fire that would heat the dance hall she lives in on Whidbey Island near Hedgebrook. For the majority of its 25-year existence, Wheeler said that Hedgebrook had been somewhat of a “best-kept secret” colony for women writers. 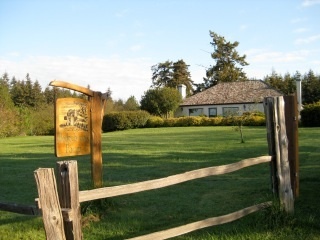 Hedgebrook is a 48-acre piece of land on Whidbey Island that Nancy Nordhoff, a philanthropist from Seattle, founded in 1988 with the purpose of giving women writers a cottage of their own in which to do their work. To this day, Hedgebrook has served that fundamental purpose of taking a woman writer out of her individual climate and into one that is both solitary and communal. The writers—six at a time for stays of two to six weeks—are given a cottage with a wood-burning stove and are tasked with two simple tasks: write and stay warm. When these women exit their cottages, they join each other at lunch and at dinner to share a meal and conversation. 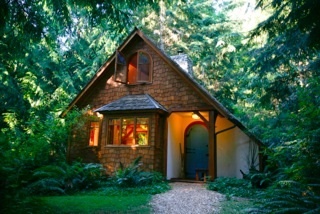 In doing this, Wheeler said that Hedgebrook is providing women with “the time and space to wrestle with [their] demons.” Wheeler said that these things—solitude and community (plus commiseration)—work in tandem at Hedgebrook and, in a larger sense, serves a single purpose of encouraging the creative productivity of its writers-in-residence. While the fully funded residences at Hedgebrook are the result of a selective application process, this writers’ colony and nonprofit is decidedly egalitarian in its outreach to women writers. Wheeler is a playwright, and alum, who is thinking about how her nonprofit’s work can connect more women. 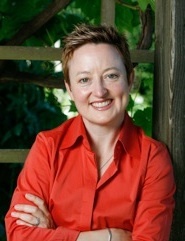 The retreat element of Hedgebrook, Wheeler said, is the core of what their nonprofit does, but she wants to see more connections made between Hedgebrook alums and non-alums after women leave the retreat. Outside of the retreat, Hedgebrook offers writers salons and professional development workshops in various cities where a larger community of women can gather. The Brooklyn loft space of Powderkeg, where I introduced myself to Wheeler, is one such venue where alums can meet each other, have their own desks to write, and make connections. Making these connections will open up more opportunities for women writers to get their work published and produced, Wheeler said. I asked her to tell me more about the thing she had alluded to when I met her at the Brooklyn-book launch of the Hedgebrook Cookbook. Would there someday be one overarching network to unite the many feminist writing organizations already in existence? Do so many separate groups serve a purpose, or are they merely duplicating each other’s work? The idea for such a network happened organically, Wheeler said: In a conversation with Gloria Steinem in the Hedgebrook kitchen. With writers like Gloria Steinem, Dorothy Allison, Ruth Ozeki, and Karen Joy Fowler on the roster of Hedgebrook alums, an emerging writer might feel, well, a tad out of her element in applying to a cottage of her own. In response to this, Wheeler told me that writers who are emerging and unpublished are given the same attention as published authors. The selection process focuses on the quality of the work of the writer, and strength of her voice and project, and the goal is to give every applicant a fair chance. In the anonymous process, each application is read at least twice; last year, the selection committees narrowed the field of applicants from an initial 1,500 to the final 40. Applicants whose writing is strong and who make a strong case for “Why Hedgebrook? Why now?” are the most compelling candidates to judges. “Women take care of making other women writers feel seen,” she said. I asked Wheeler what encouragement she might give emerging writers. She told me that writers need to get comfortable in their own skin and not feel like they should rush the process of submitting their work. She also said that one of the things she heard most often from writers, no matter their experience level, was the great value in finding a community. “You need to have your people who you can share things with when you’re ready. That makes all the difference—to feel like you’re not doing it alone,” Wheeler said. And with those words, I leave you, readers, with a closer look at Hedgebrook, a growing network of women writers that is no longer a best-kept secret. Wow! This sounds like an incredible opportunity.